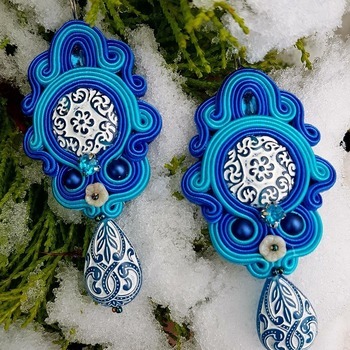 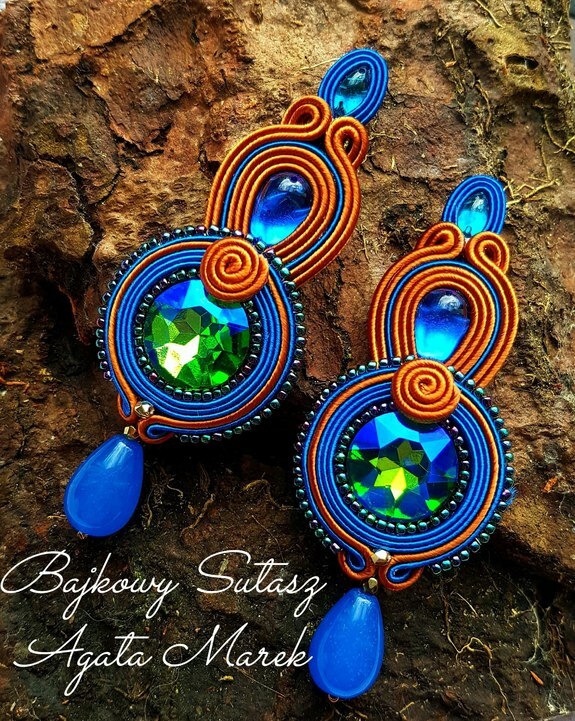 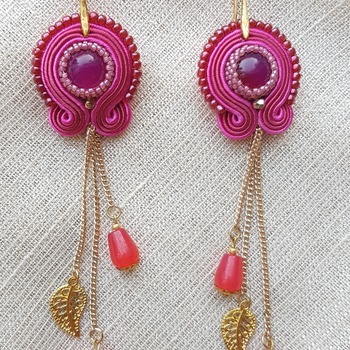 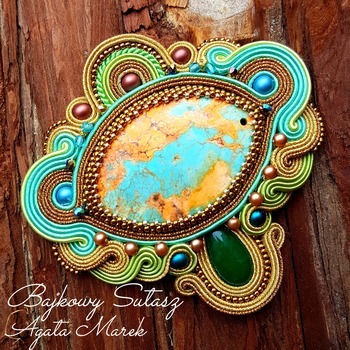 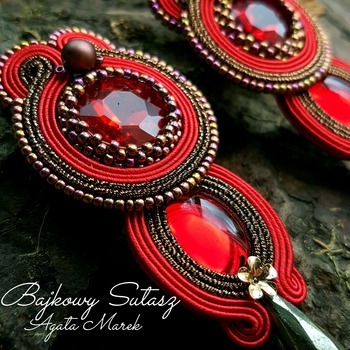 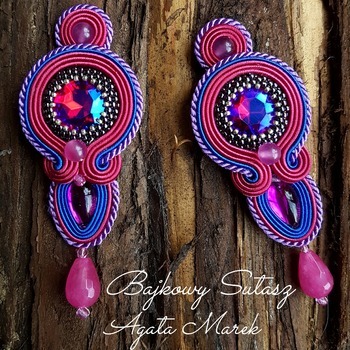 Unique earrings made with intensive soutache and beads embroidery. 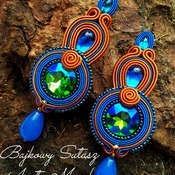 Beautifull Diamond green and blue crystal surrounded by toho beads. Royal blue and cognac colour of Soutache braids.Blue agaTe drop gemstone.